Sure, he earns (at least) $500,000 a month, but that success comes with certain sacrifices. 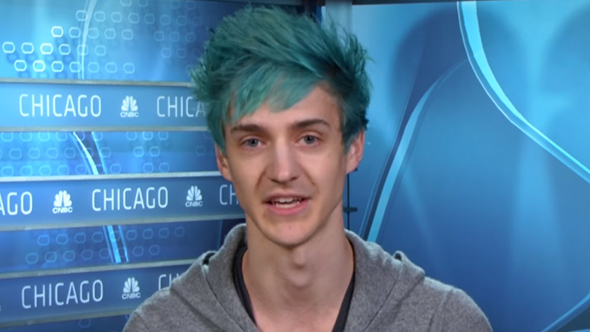 Twitch’s most successful individual streamer, Tyler ‘Ninja’ Blevins, lost 40,000 subscribers after taking “less than 48 hours” off to visit E3. TwitchTracker’s most recent figure for his total subs is 375,353, so he’s lost roughly 11% of his count (depending on how accurate TwitchTracker is) for taking a two-day break. It’s worth noting that Ninja was at E3 doing good things: he was competing in a charity Fortnite tournament (which he won, alongside American DJ Marshmello), and donated his half of the $1 million prize to the Alzheimer’s association. Which of these exciting upcoming PC games will be the next breakout hit on Twitch? Clearly, Ninja can absorb the loss from a financial perspective, and given his work ethic he will likely earn those subs back in time, so we doubt he’s looking for sympathy. But with success stories like his making streaming ever more appealing – especially to children – it’s helpful to highlight the challenges of this competitive and fickle career. Many of the replies to his tweet concur, and echo similar sentiments I can remember seeing from YouTubers: if you’re not producing content on a regularand frequentbasis, it’s frightening how quickly your audience can dry up. The pressure is intense.